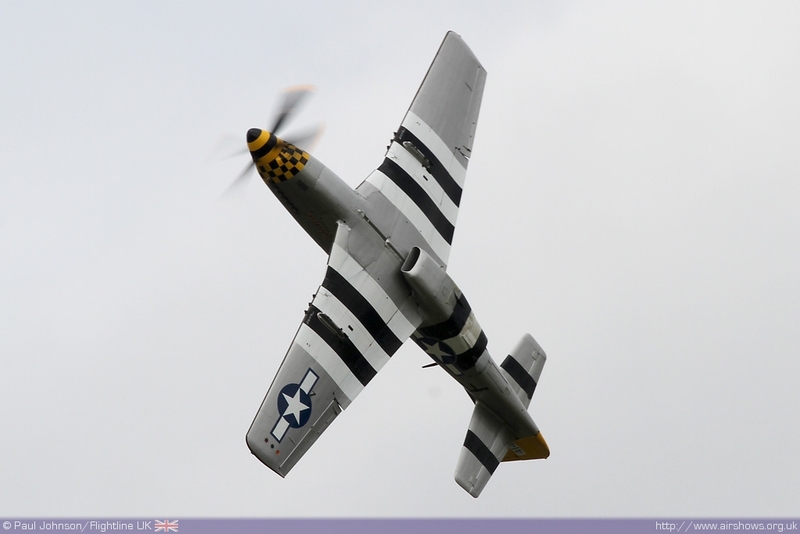 2010 brought some very sad news to the UK airshow circuit as it would prove to be the last Biggin Hill International Air Fair. 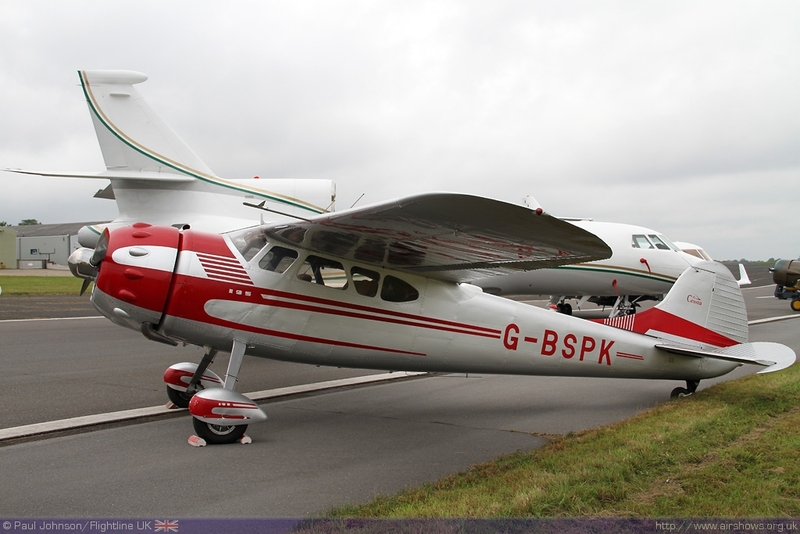 This was no due to any failure in the event, but the wishes of the then management team at London Biggin Hill Airport. 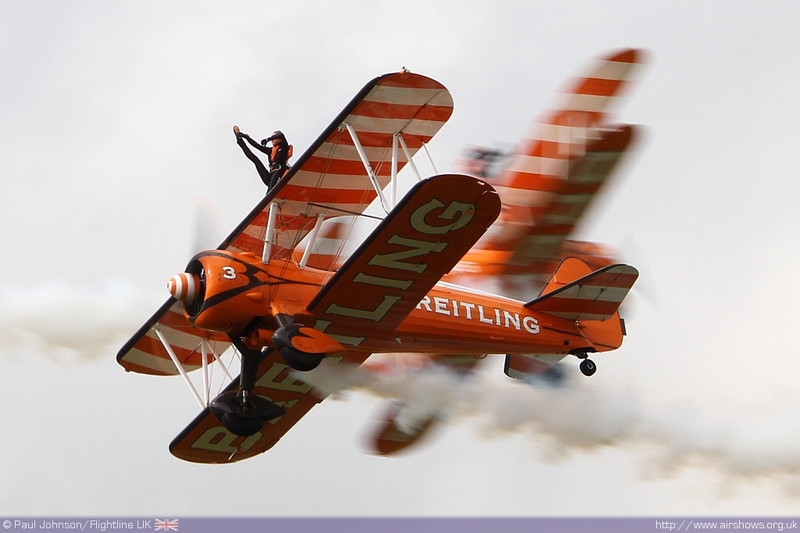 The Air Fair was sorely missed in 2011 but it was not the end of a public event at the Airport. 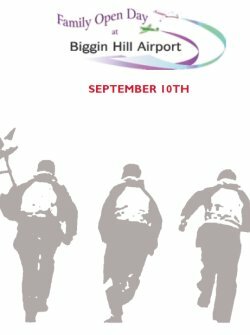 The 10th September saw the first Community Open Day at Biggin Hill Airport which was squarely aimed at the local audience with ground displays as well as a small series if flying displays by historic and civilian types. 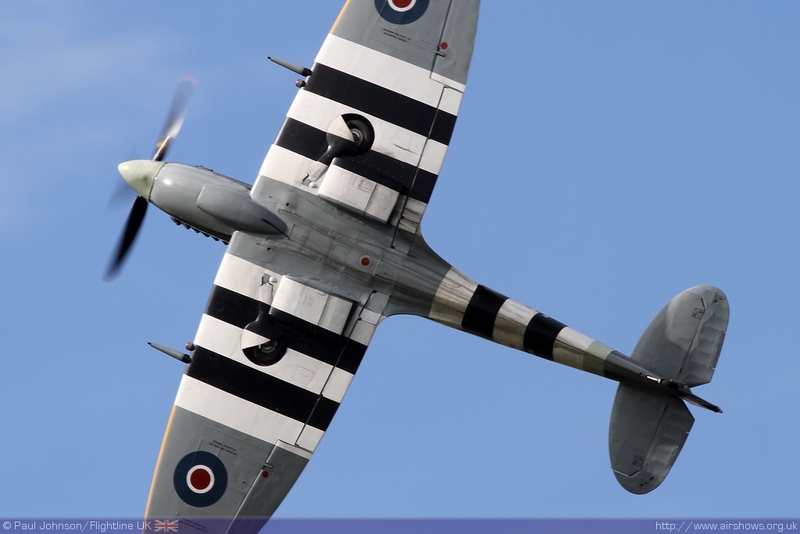 The Biggin Hill International Air Fair was undoubtedly one of the UK’s finest aviation events. 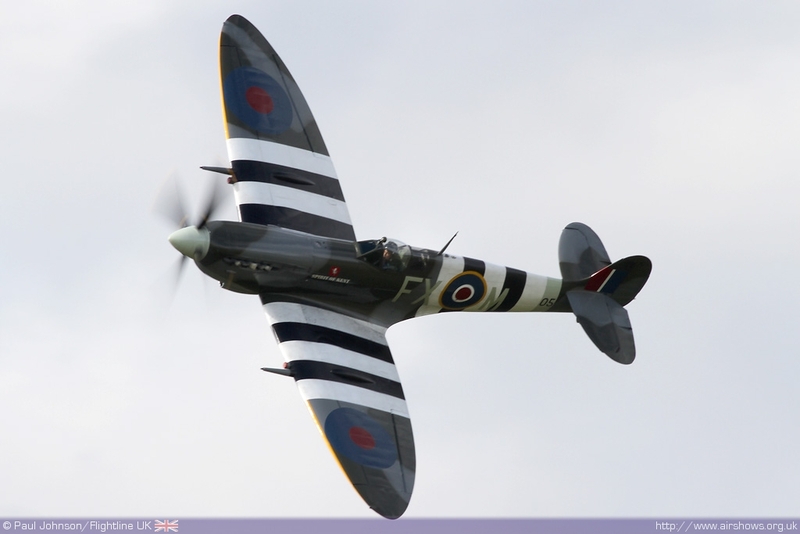 It was always supremely well organised and always managed to provide a surprise or two. 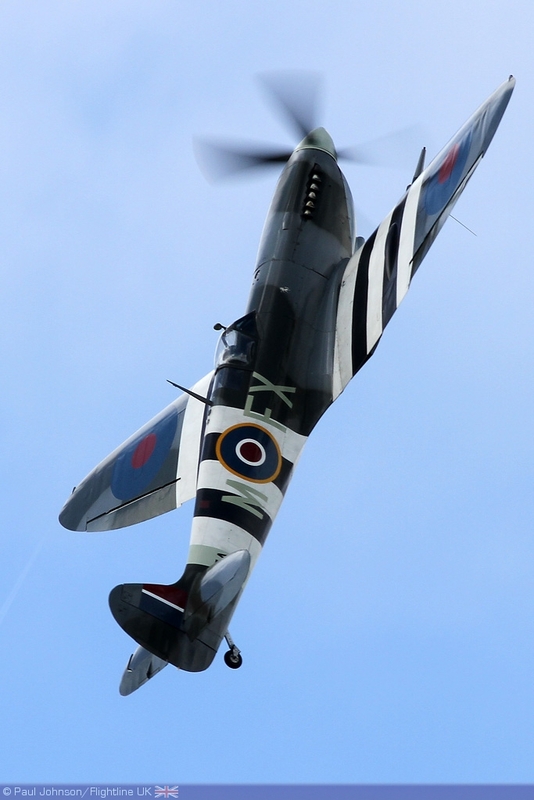 Its demise at the hands of the then airport management came as a shock to the whole airshow circuit and to its many fans from across the UK and the world as there was no real sound reason. 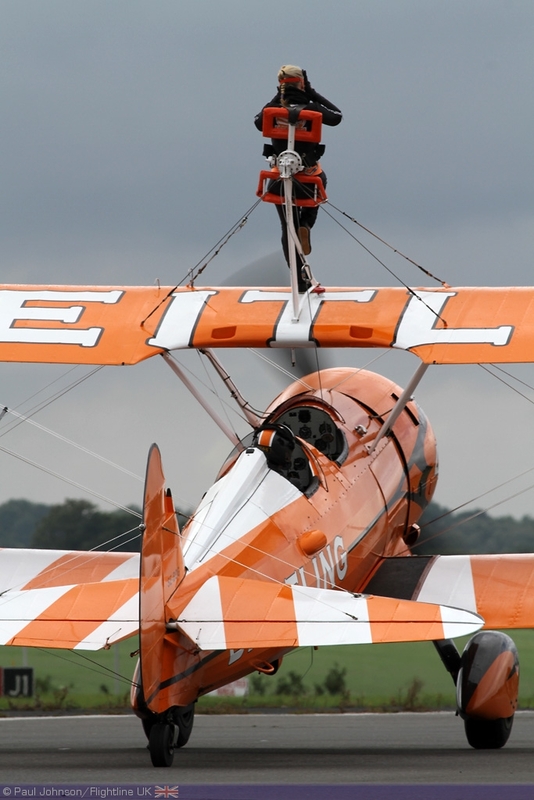 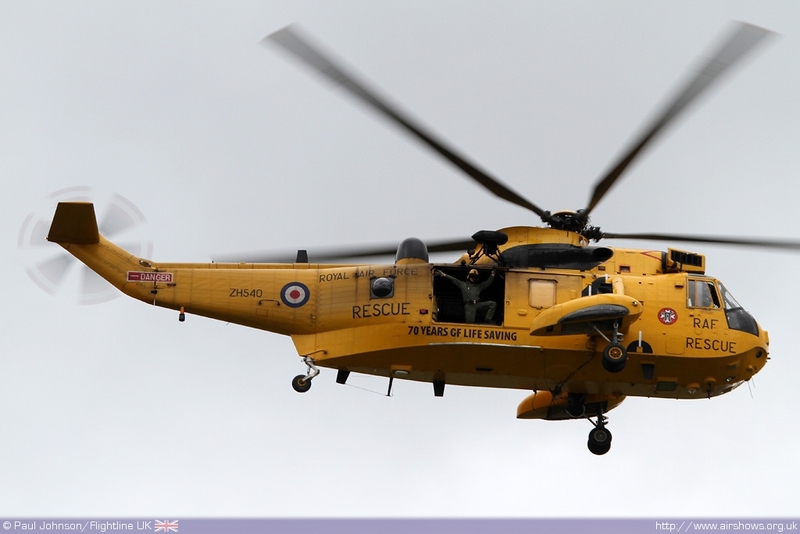 The loss of the Air Fair also brought an end to the Air Fair’s organisers “Air Displays International” who had overseen some of the most famous airshows in the UK such as Cranfield as well as Biggin Hill. 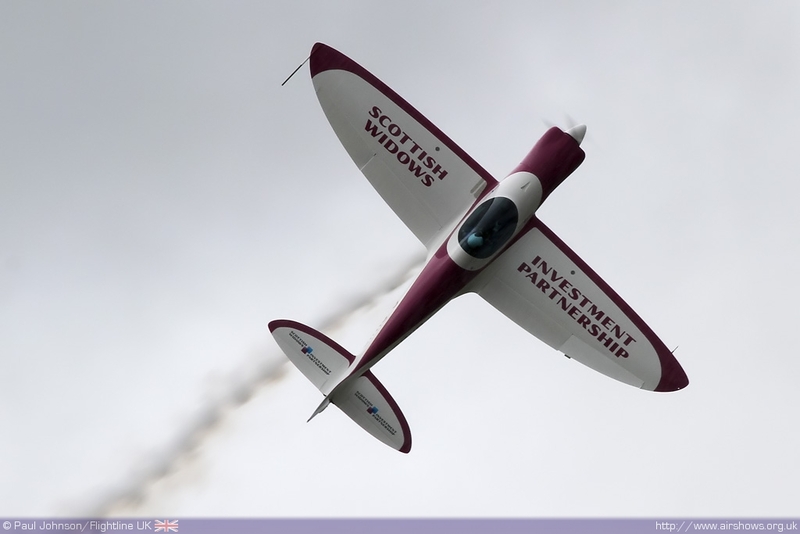 2013 may see a return of a major aviation event as the new managing director Jennifer Munro has expressed interest in hosting a significant airshow at the airfield once again. 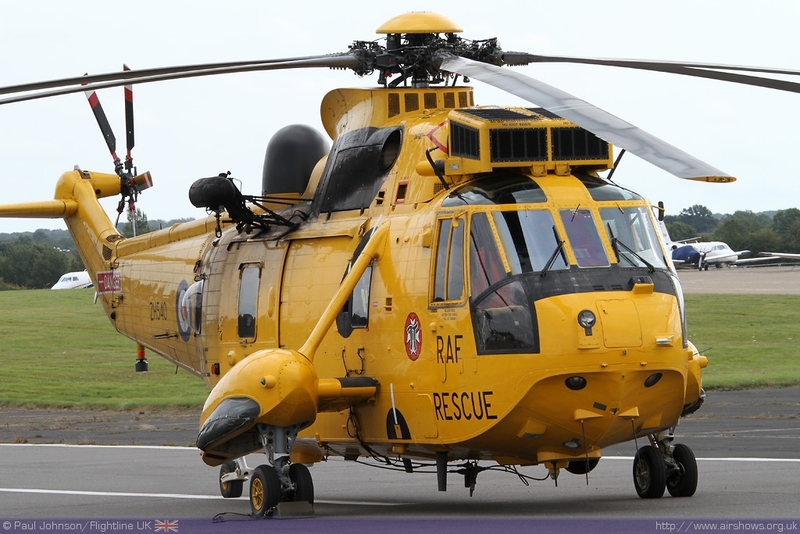 For now though, the only chance the general public has to visit the airfield for an event is the Community Open Day. 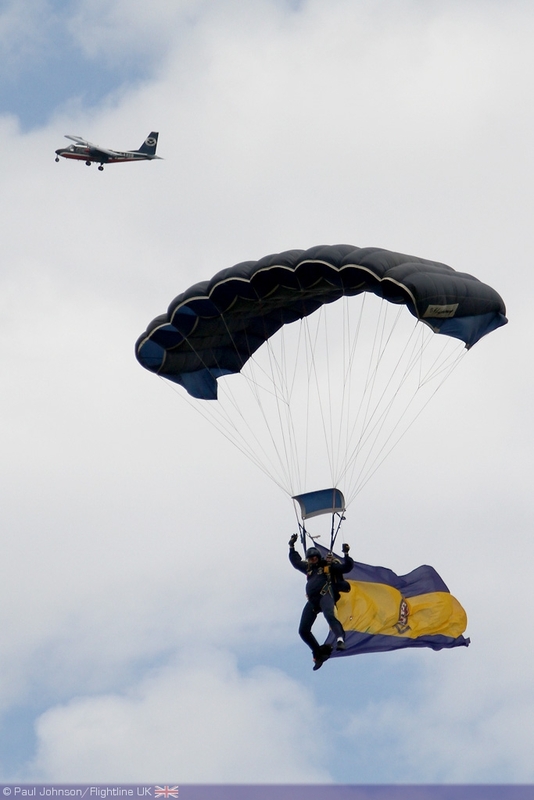 This was a very different event and in no way could or should be compared with the Air Fair. 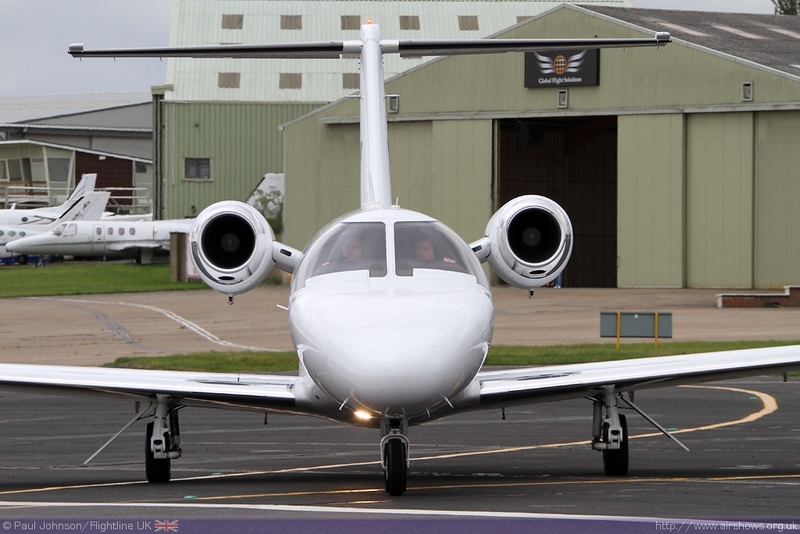 The day was very much a relaxed one with a number of different ground attractions highlighting the history and work of Biggin Hill Airport. 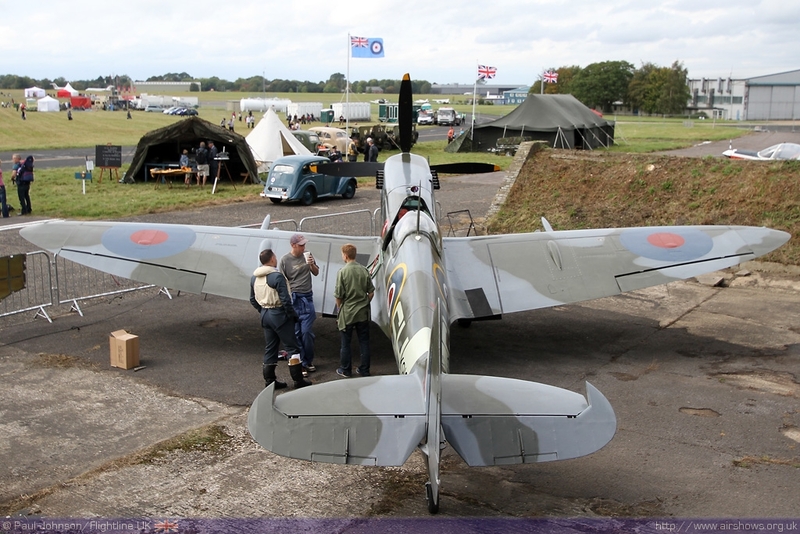 Perhaps the nicest touch was seeing Peter Monk’s latest Spitfire IX sitting in one of the preserved ‘Fighter Pens’ surrounded by a 1940’s re-enactment by 212 Squadron. 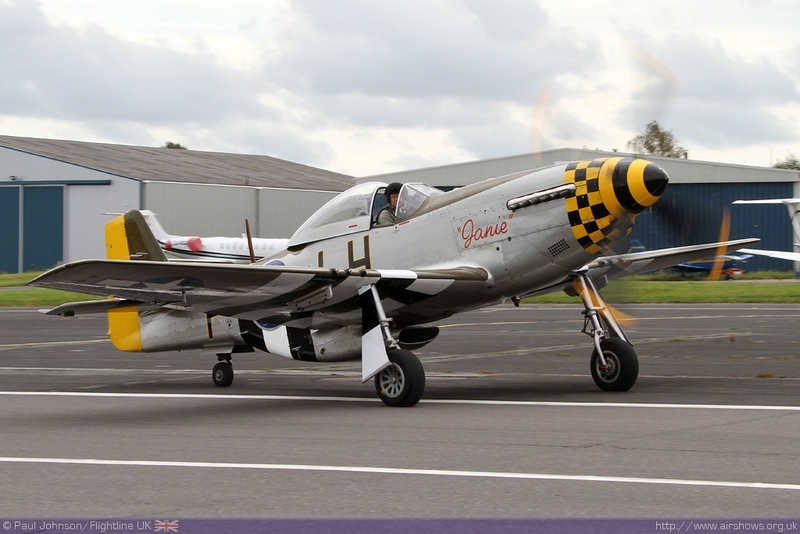 The smaller cross-runway hosted a static display of some of the flying display participants as well as some of Biggin Hill’s more interesting residents. 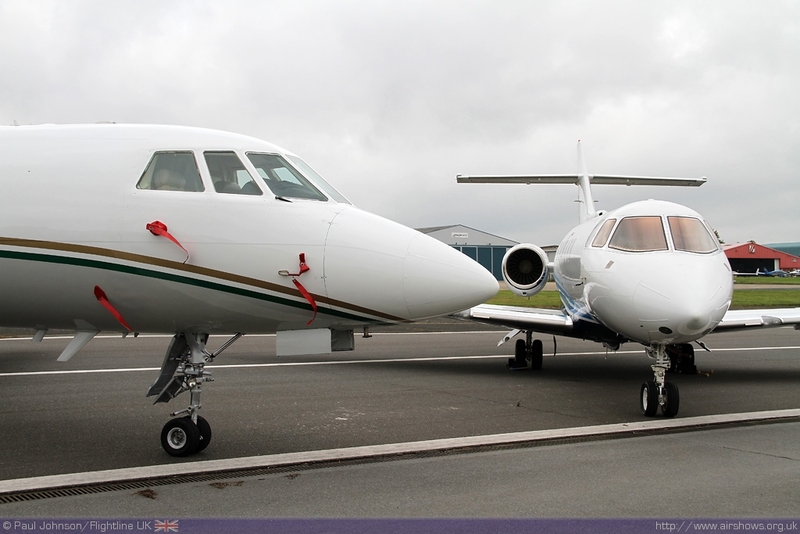 At the centre of the static park were examples of Dassault Falcon and Hawker business jets which are very much at the core of Biggin Hill’s current life. 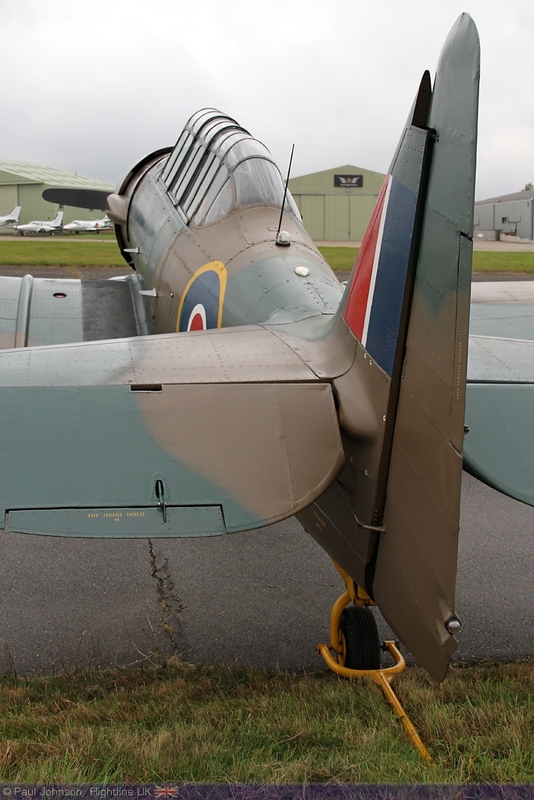 Surrounding them were some of Biggin Hill’s more interesting vintage and classic residents which included the rare and ungainly UTVA-66, Miles Messenger and the Percival pair of Prentice and Proctor. 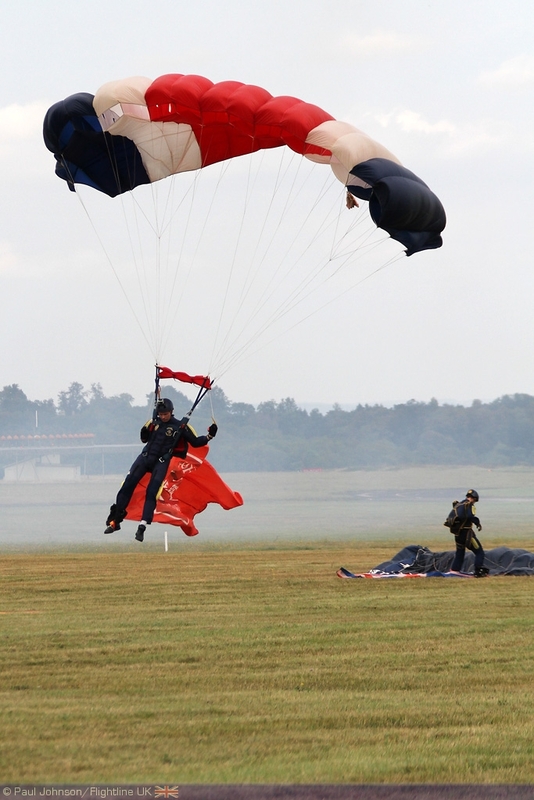 Elsewhere on the ground, there were arena displays from the Royal Artillery’s Flying Gunners Motorbike display team and the Rockwood Dog Display Team as well as Double-decker Bus Tours of the airport which took visitors around to the Control Tower and new hanger built on the north-side of the airfield. 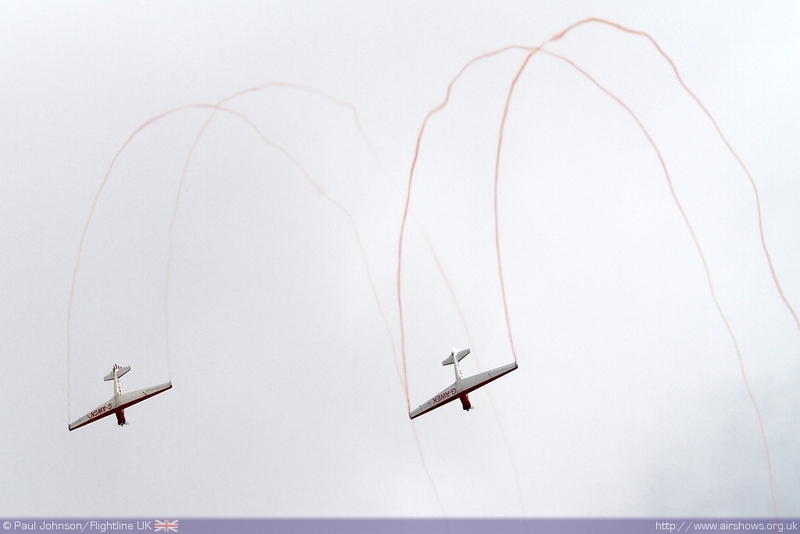 The flying displays were fairly short and spread out reflecting the relaxed feel to the day. 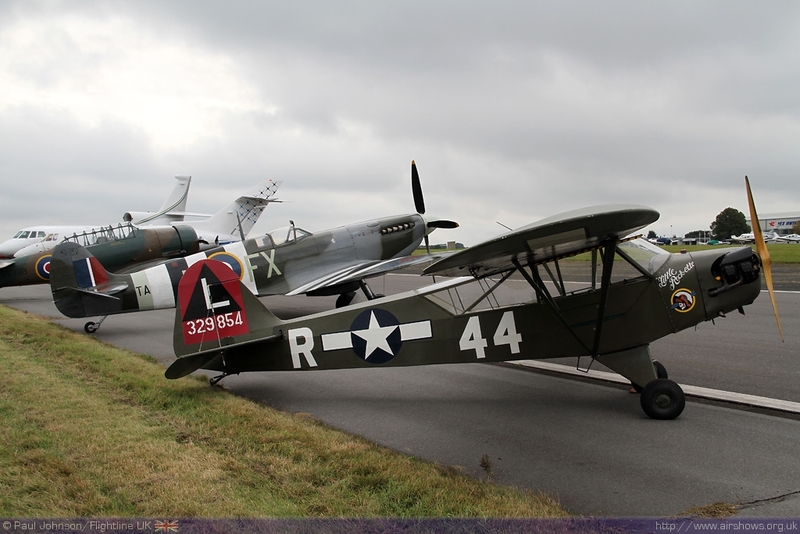 Displays not only contained some of the popular display teams that frequent many of the major airshows, but also a number of historic types reflecting the wartime history of the airfield. 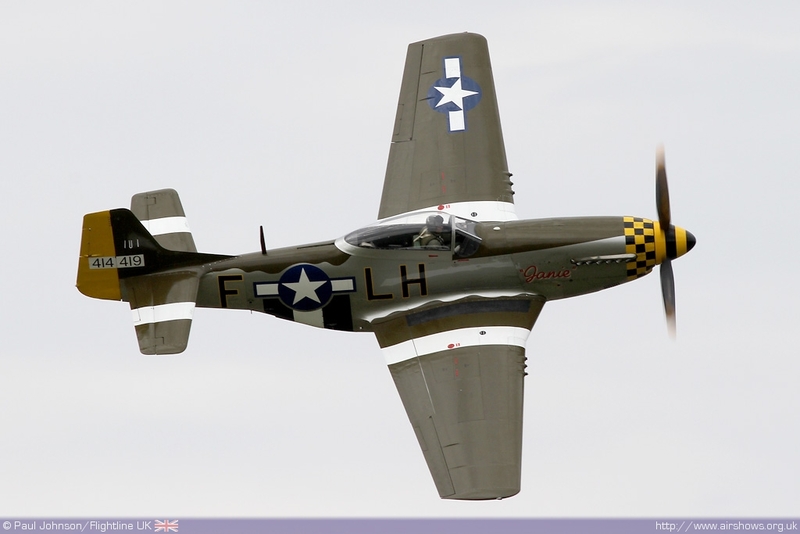 The opening act was Maurice Hammond’s P-51D Mustang ‘Janie’ flown by Dave Evans. 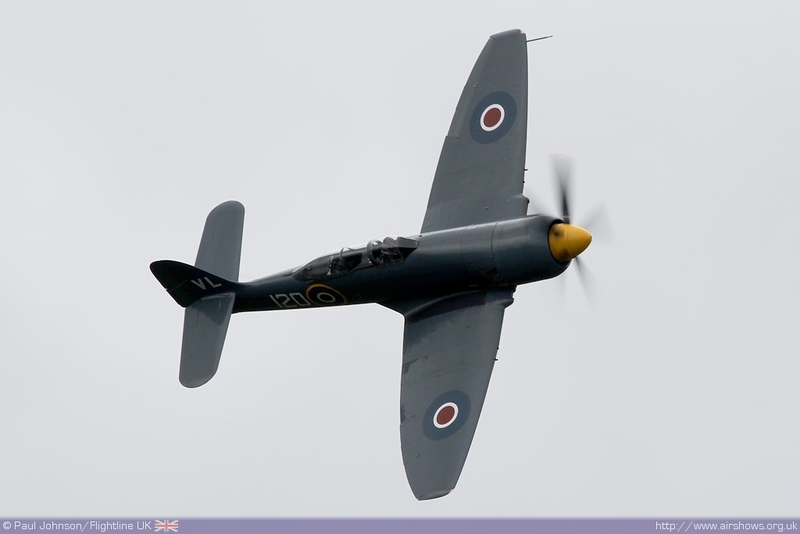 The P-51 was a late addition covering for the Royal Navy Historic Flight’s Fairey Swordfish which was unable to attend due to weather elsewhere in the country which also prevented the Battle of Britain Memorial Flight’s Lancaster from attending. 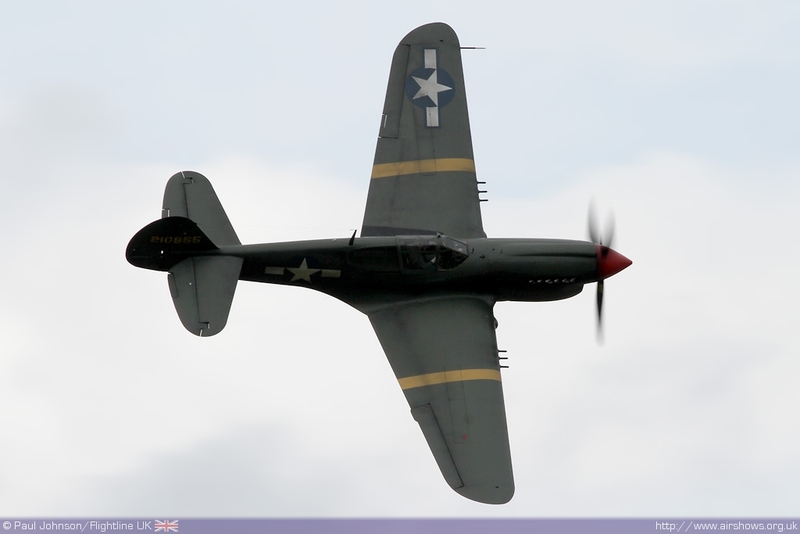 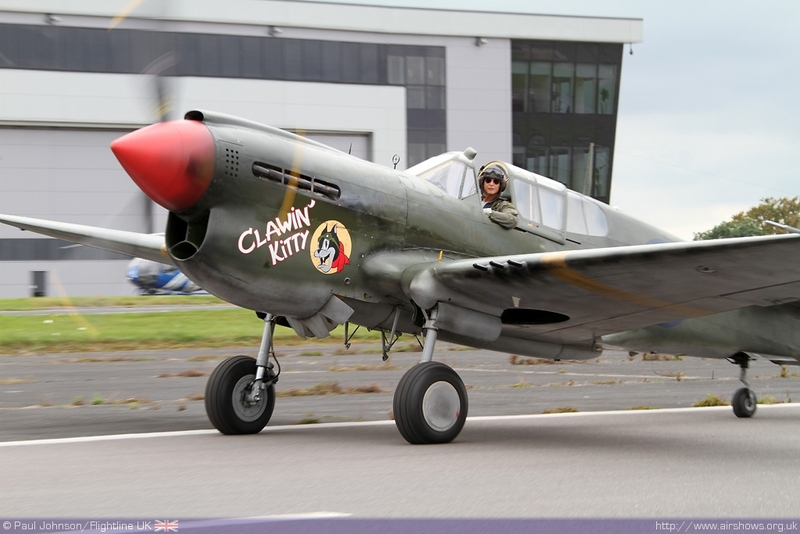 Peter Teichman also displayed his P-40M Kittyhawk which still wears the temporary colours applied to it for the filming of George Lucas’s ‘Red Tails’ film. 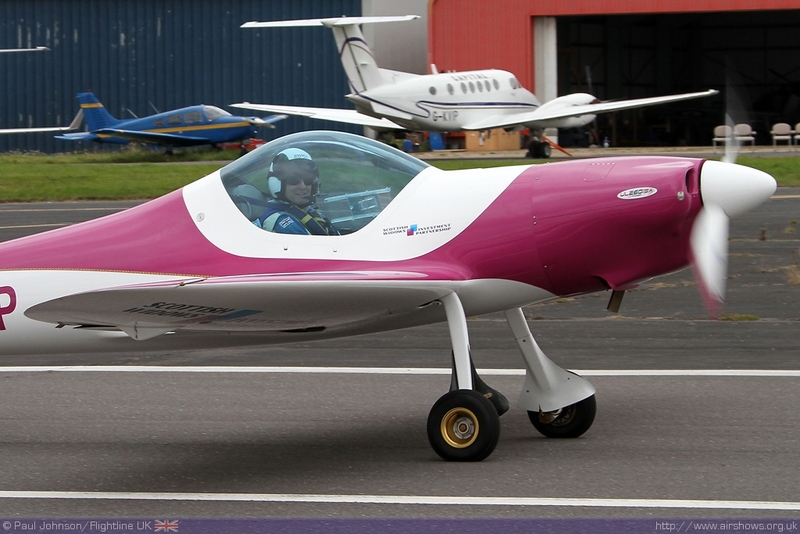 The first of the civilian display teams to appear were the RedHawks Duo of Fournier RF4D motor-gliders flown by Matthew Hill and Bob Grimstead whose graceful aerobatics are reminder of the famous Skyhawks Display Team which was a regular feature of the Biggin Hill Air Fair 20 years ago. 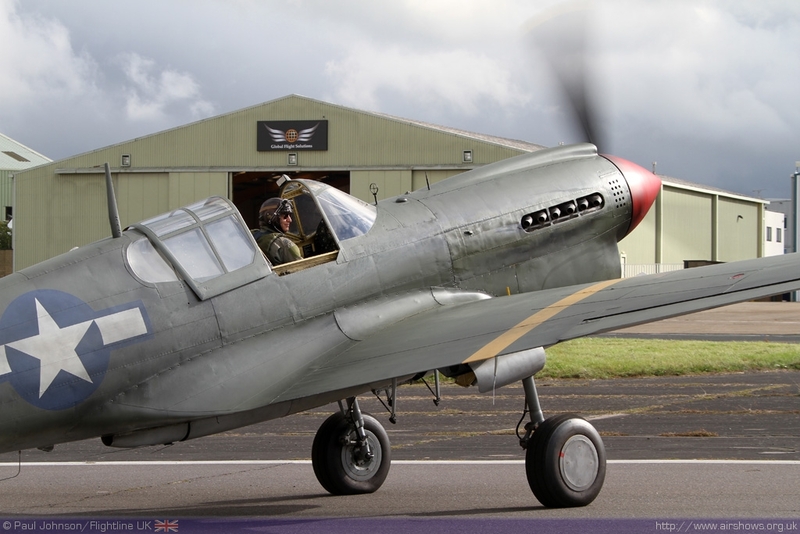 The second session of flying was opened by the SWIP Team which was sadly reduced to a solo display by leader Peter Wells as the second aircraft suffered a tyre burst taxying out to the hold. 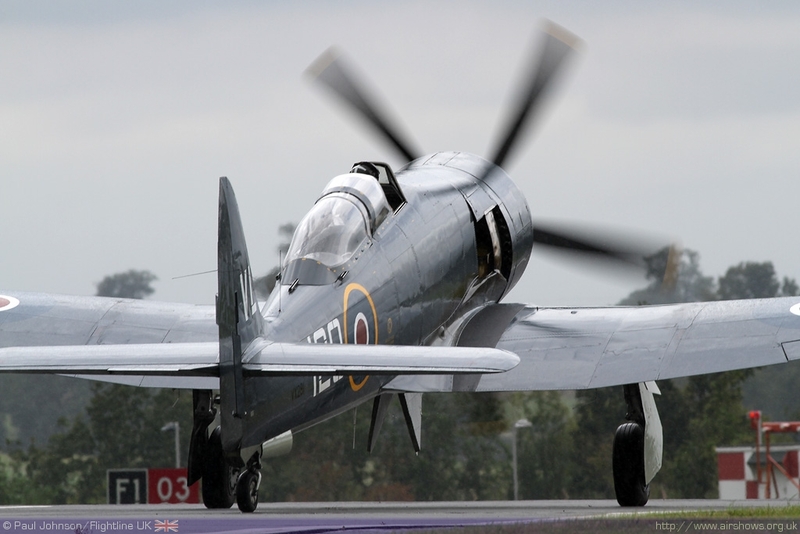 They were followed by Chris Gotke who gave a superb account of the Royal Navy Historic Flight’s Sea Fury T20 amongst the low clouds with vapour trails bursting from the wingtips of the powerful fighter. 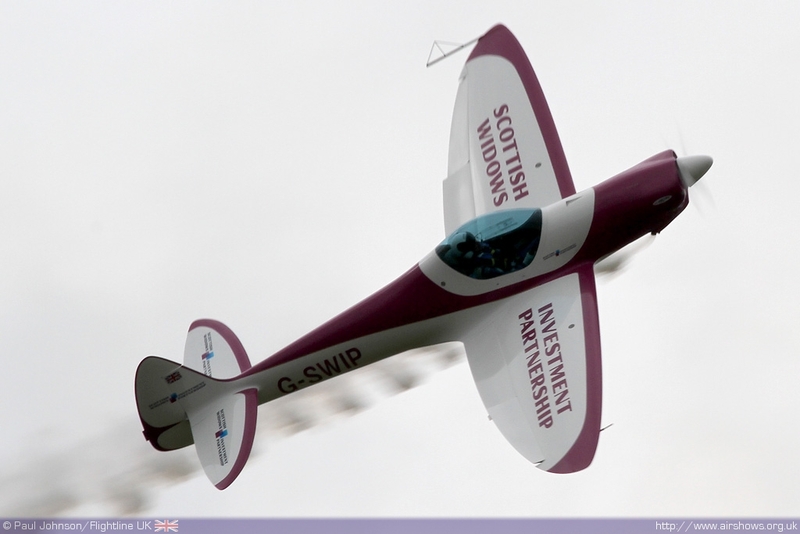 His opening knife-edge pass down the full length of the display line was certainly one of the highlights of the day. 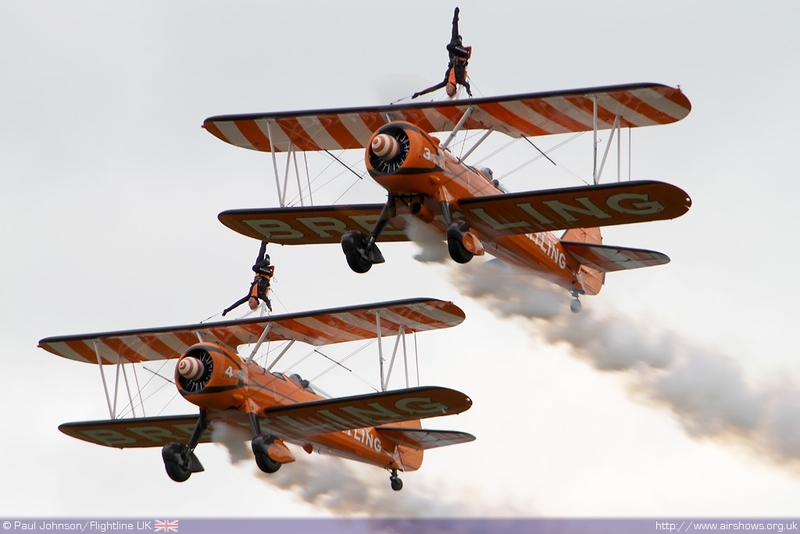 Few family flying displays are complete without the wonderful Breitling Wingwalkers team who managed to finally find a way out of the fog bound Channel Islands to meet up for their display at Biggin! 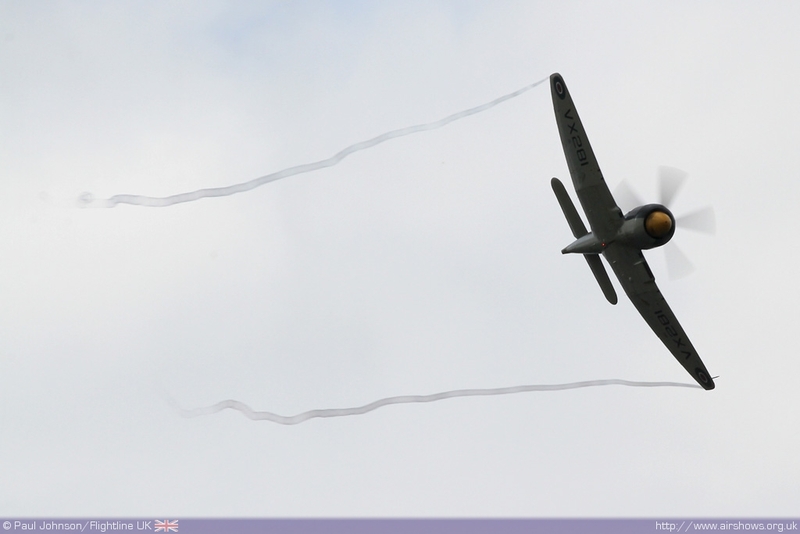 The finale to the flying was Dan Griffiths flying Peter Monk’s Spitfire IX TA805 also known as ‘The Kent Spitfire.’ Dan’s display is certainly very different highlighting the power and the agility of the type bringing the flying displays to a fitting conclusion. 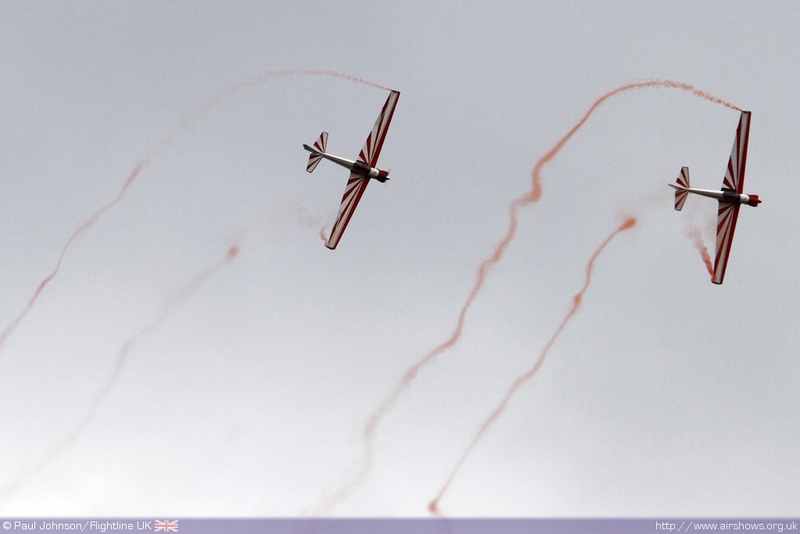 I certainly have mixed feelings about the Family Open Day. 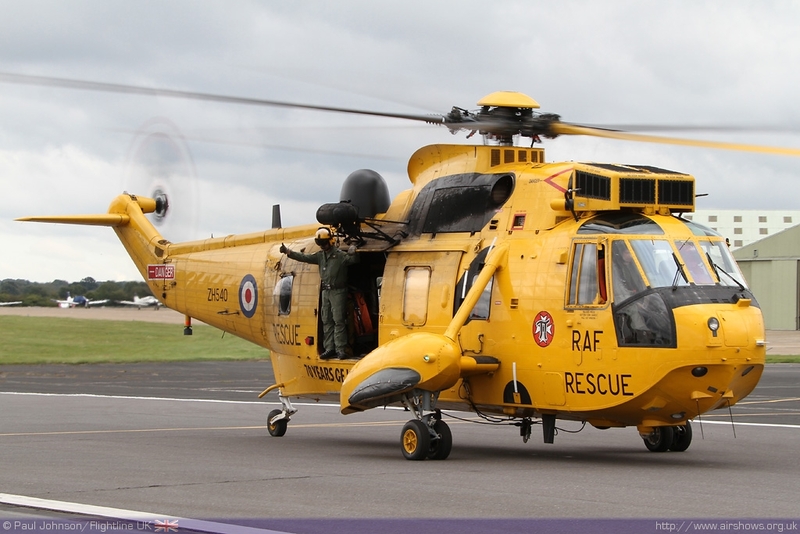 As a family day out it did provide a relaxed day out for the local community which opened the doors to airfield’s work. 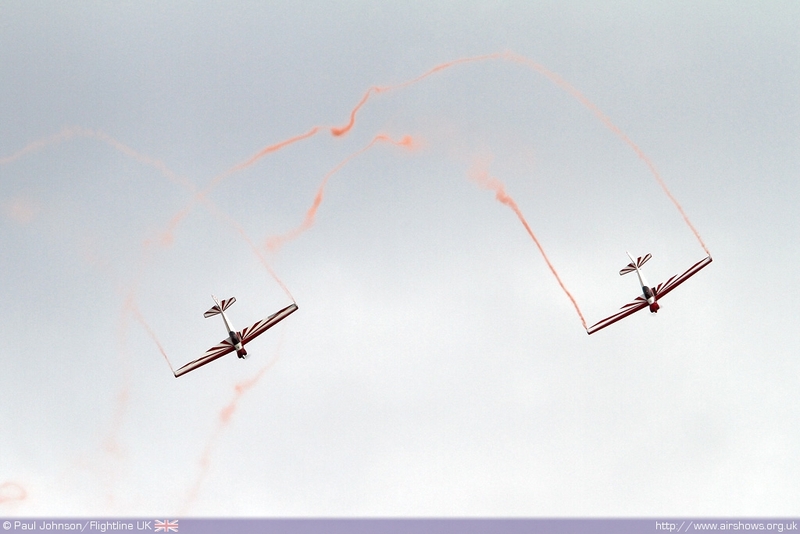 We should certainly be glad that some sort of flying display did take place at Biggin this year. 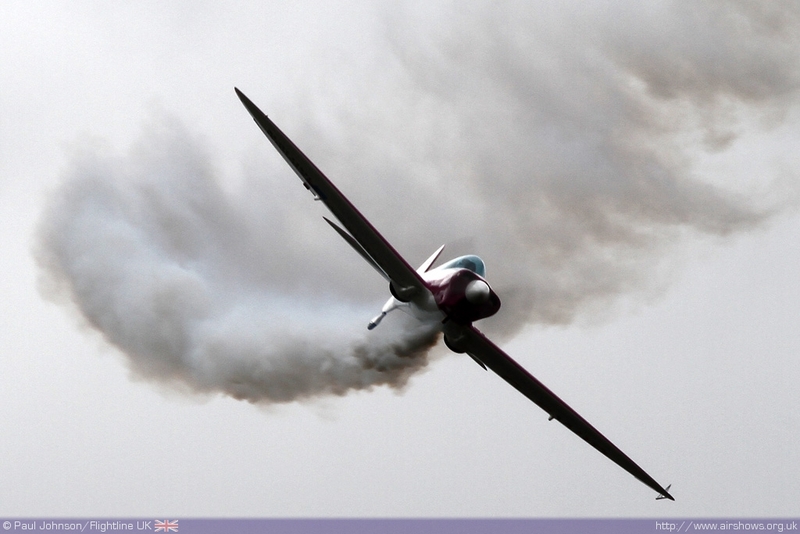 However, it was a reminder of what the airshow calendar is missing. 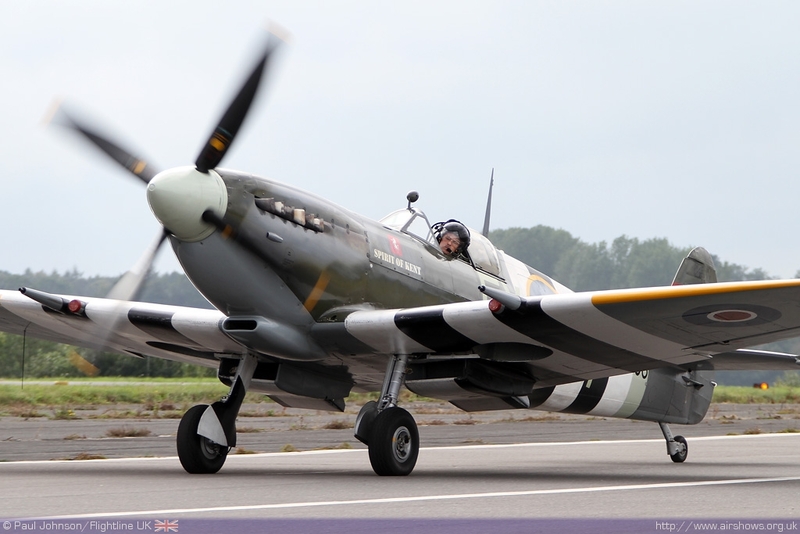 If plans do come together for a more significant aviation event at Biggin, 2013 can’t come quickly enough!